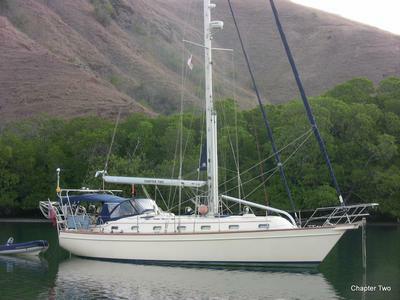 The Island Packet 420 received the award for 'Best full size cruiser' in 2000 in the Cruising World 'Boat Of The Year' competition. The long list of features include 2 solar panels, 2 windgenerators, airconditioning and watermaker plus a large Rocna anchor for secure and restful nights. 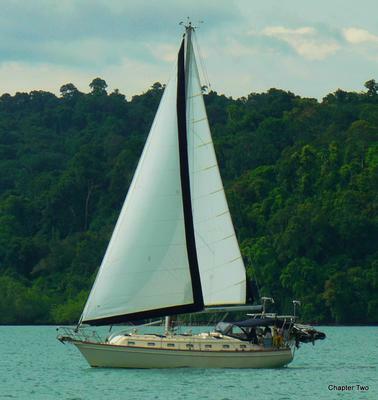 The hydrovane self steering, electronic autopilot, AIS transceiver, SSB and twin whisper poles ensure a safe and easy sail wherever in the world you choose to venture. 'Chapter Two' is currently based in Florida. Electric bilge pump with alarm. 12V and 110V power outlets. Other assorted spares & reference books. Holding tank 30 US gallons (plastic) and electric macerator pump.